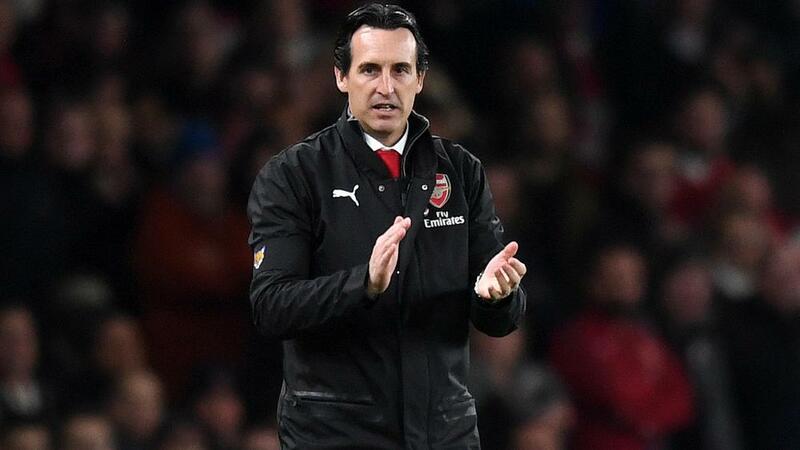 Arsenal head coach Unai Emery respects UEFA's late decision to move his side's Europa League clash against Vorskla to Kiev. Due to security concerns, the Group E encounter was moved to the Olimpiyskiy Stadium, which hosted this year's Champions League final, from the city of Poltava on Tuesday. Emery, whose team are already assured a place in the knockout round, said he understood why the governing body had made the change. "First of all, we need to respect UEFA's decision because it's not easy for Vorskla. It's not an easy decision for UEFA to make either," he told a news conference on Wednesday. "For us, yesterday we were preparing for our trip to Poltava and then awaiting the final decision in the evening. "We made small changes in our training session in London and now we have just arrived. This decision, for us, is with all the respect." Stephan Lichtsteiner has resumed full training for Arsenal after suffering a hamstring injury, while Laurent Koscielny (Achilles) will be assessed, having appeared for the under-23s on Monday as he continues his recovery. Meanwhile, in a further boost for Emery, Alexandre Lacazette (groin) is also being assessed ahead of Thursday's clash. While the venue move has impacted Arsenal's preparation, Emery is desperate for his players to stay focused. "It's very cold here like it is in Poltava but we're going to play with this weather. We prepared for the match in this context with our players and also with the respect for Vorskla," he said. "We only want to play the match, to win and to show every supporter that we can do well." Arsenal, who host bitter rivals Tottenham in the Premier League on Sunday, need a win to confirm top spot in the group.